As a student it’s probably the first thing you should buy once you’ve moved into Uppsala: A bike. 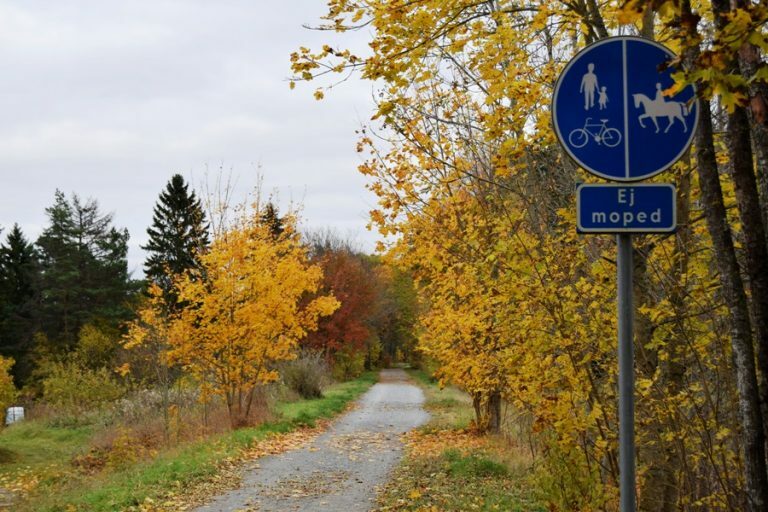 Uppsala is known in Sweden as ‘The bike town’, and this nickname did not come out of the blue. The many bike lanes that run through the whole city make biking a safe and efficient option. To me, coming from the Netherlands, the possibilities of biking everywhere and the town including a proper biking infrastructure did not seem very special at first. But the more I talk with both Swedish and international students, the more I realise how uncommon such a situation is. And very, very well appreciated. Some things were new to me though. For example, the mountains. All my non-Dutch friends tell me they are ‘just hills’, but these steep bastards are definitely mountains to me. Though Uppsala is rather flat you still feel whether you are biking uphill or downhill and there are for sure streets almost every city cyclist tends to avoid because they are quite steep. Another new aspect are the relatively large distances. I must admit, not everybody is as determined to bike as me and many of my friends buy monthly bus tickets, especially in wintertime. However there is a large share of students that bikes from town to university on a daily basis. where exactly one is supposed to make use of the track. From my house to campus is a bit more than 7 km long and takes about half an hour. However, the popular student area of Flogsta is also located about 3 km from the city centre, which takes up to 15 minutes, depending on where in town you have to be. This means that on an average day on which you go to SLU during the day and meet up with friends at one of the nation pubs in the night, you will bike one and a half hour. That does not yet include any additional biking for doing groceries or going to the gym. However, my cycling life reached a new level now I have to visit Lövsta on a regular basis because of my degree project. From my house to Lövsta is over 16 km, one way. Which takes a bit more than an hour, meaning after coming home from my research chicks, I’ve already spend two to two and a half hours on bike. Luckily the route is quite beautiful and I am sure it keeps me fit. Or at least, I’d like to believe that! Thank you for the heads up. Gotta start saving up money for the bicycle.